Examples of overseas projects run by clubs across our district and funded by district grants. 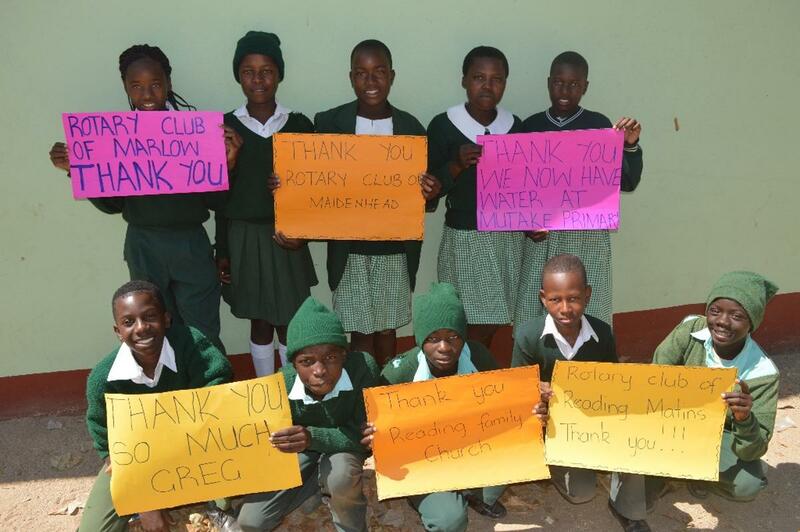 Some are new projects, others show an ongoing relationship between Rotary and the community. 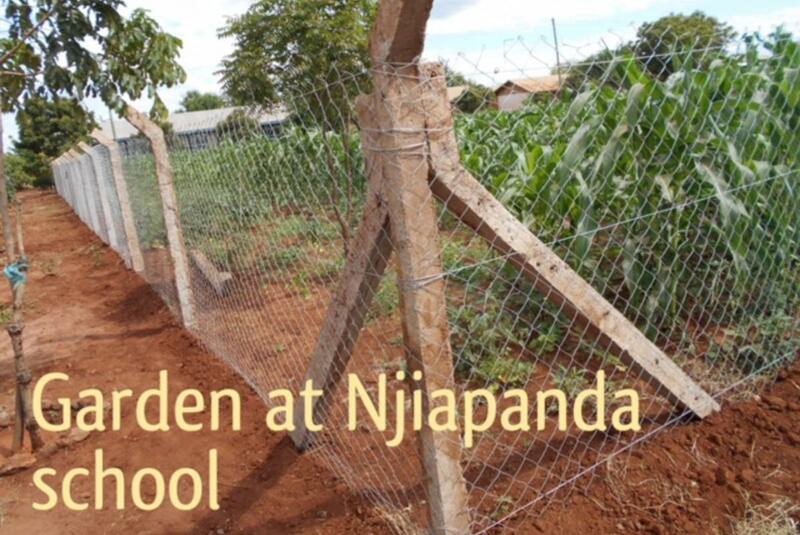 Members of the Haddenham & District Rotary Club have visited Tanzania since 2005 and at the end of last year we visited again to implement a project that we had agreed with local primary schools in 2013. 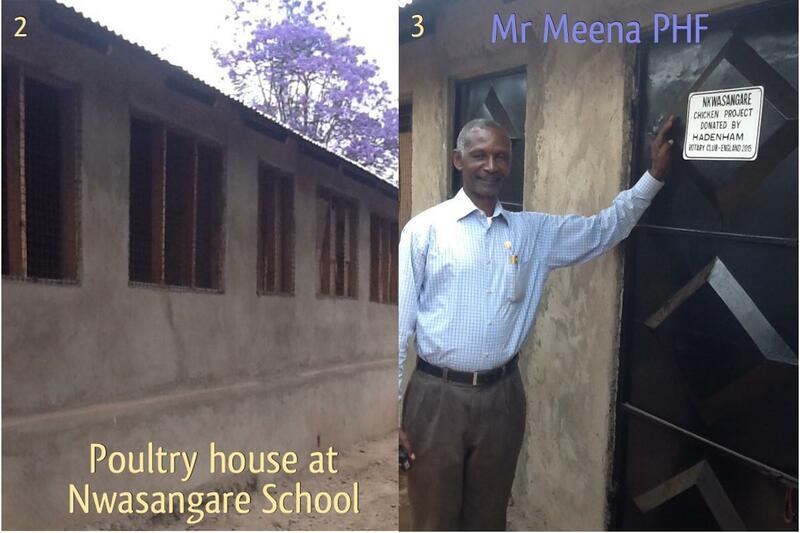 This project was to provide poultry houses and gardens in these schools. We have now built a very good relationship with the RC Moshi, RC Machame, the Lions Club in Moshi, ChildreachTz, with two boarding schools for deaf children and a rural primary school in Machame and it is in two of these schools that we are building poultry houses for egg production and manure, and, in another, gardens for garden produce and water harvesting with micro irrigation to extend the growing season. 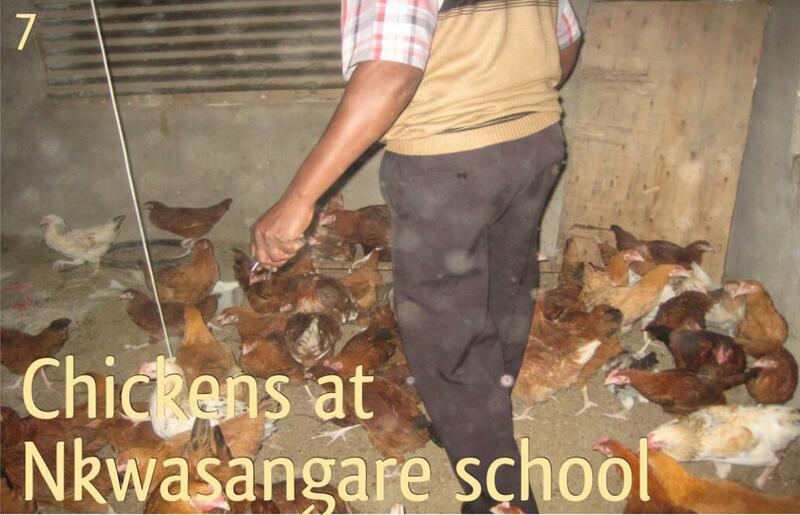 This project is designed to be self sustaining with the benefit of providing food for the schools or funds for school equipment whilst providing a resource for teaching good horticultural and livestock practice and a basic business model for the children to learn from. During our visit in 2015 we also provided funds to refurbish sewing machines at the vocational school as well as purchasing new tools for the woodworking department. 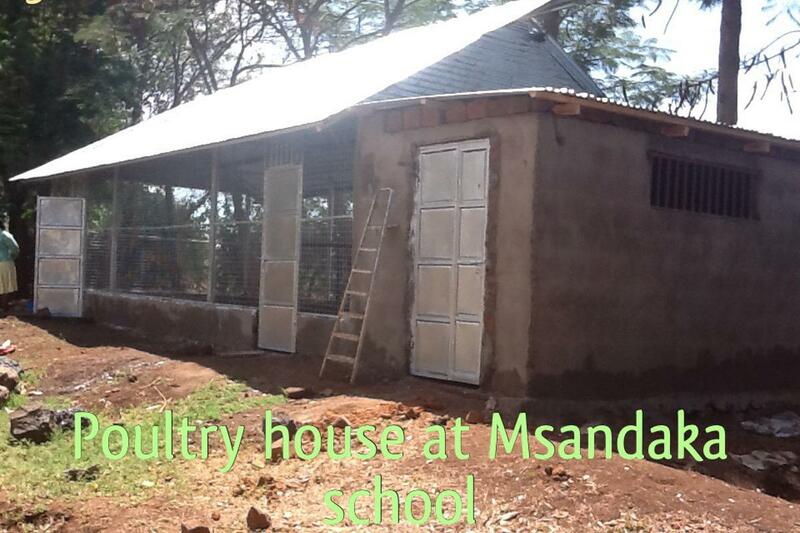 We also gave emergency help with the rebuilding of the kitchen at Msandaka after a fire and provided new swings. 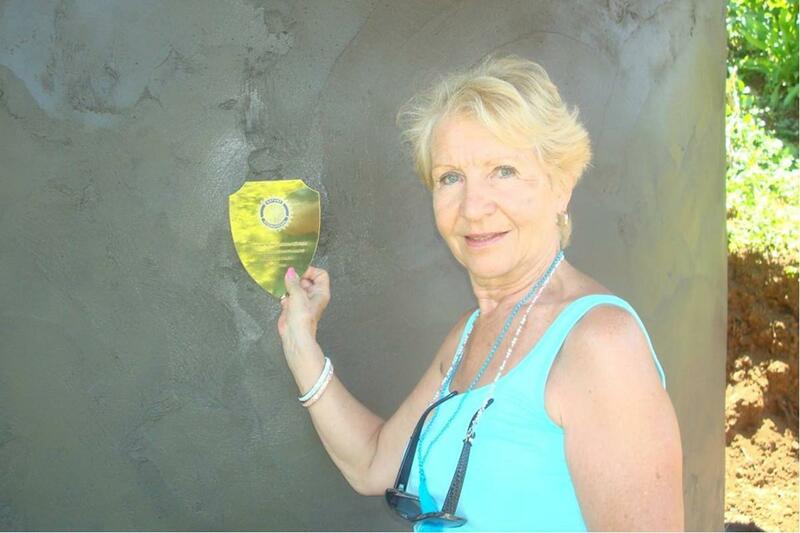 Read more on the Haddenham & District Rotary Club website. Mutake Primary School, near Harare in Zimbabwe is supported by Creating Better Futures and is one of the schools where the charity provides school meals every day for all the pupils. 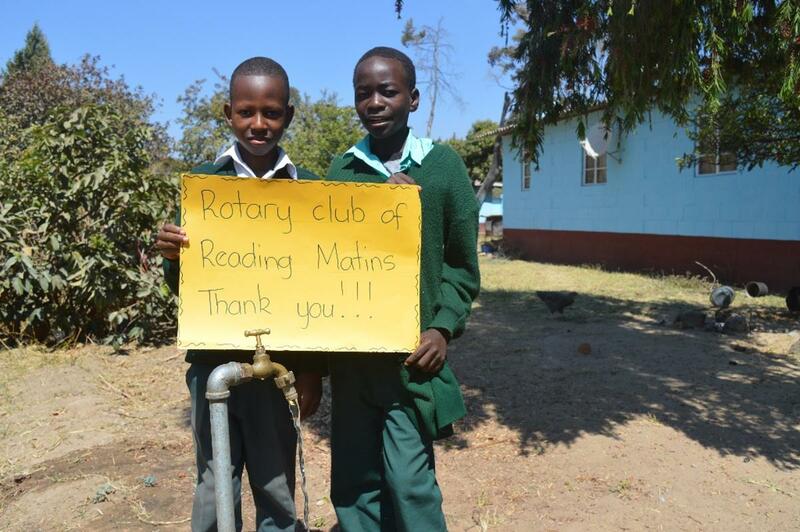 Dorothy Dix, founder and CEO of the charity is a member of Reading Matins Rotary Club and has spoken to many Rotarians in our district about her work and the charity's focus on access to education for children, giving them the opportunity to improve their own futures. In August 2016, a borehole was completed at Mutake Primary School . 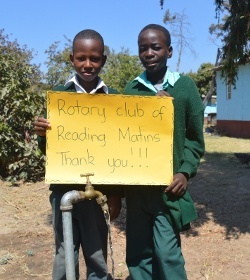 Reading Matins Rotary Club contributed £1,000 to the project, the club was awarded a district grant of £1,000 and the Rotary Clubs of Marow Thames and Maidenhead Bridge also supported the project. When the work commenced some weeks ago, they found that the hole required lining and that sheathed cabling was required for the electric pump. This meant that more money was needed and the Reading Family Church helped with this and paid for all the cabling costs. 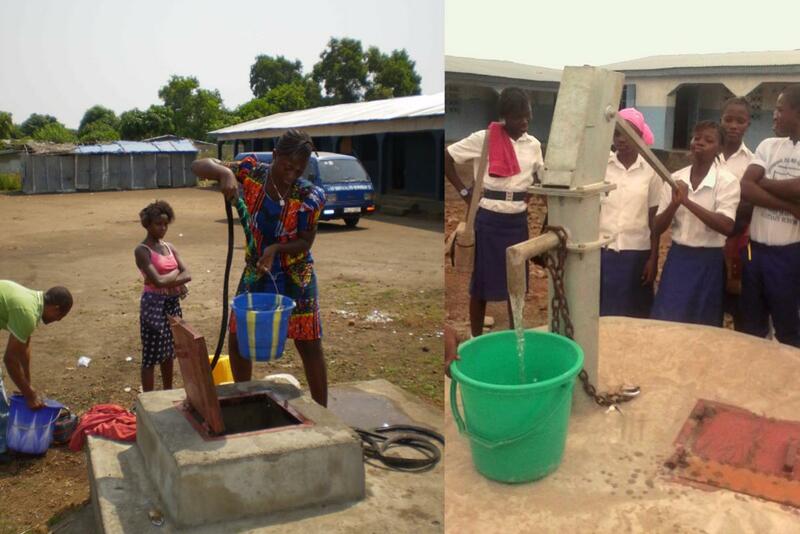 Following the commissioning of the borehole, the club received lots of photos thanking all the sponsors. Children were previously walking long distances to collect water from open wells and dams that are stagnant and used by animals. 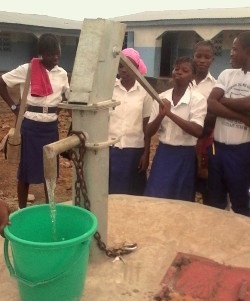 The new well at the school will help to improve hygiene and sanitation, and it is expected that attendance at school will improve as sickness from water-borne disease declines. Misbourne Matins has had a long relationship with clubs in Bali. Despite its reputation as a luxury resort there are widespread sections of poverty on the island. The north has little rainfall due to being on the lee side of the mountain and Misbourne Matins along with the RC of Canngu in the south have taken on a project to supply a village of 26 houses each with a rainwater catchment system. Over the last two years Misbourne Matins has funded twelve tanks, Slough RC has funded five, both clubs benefitting from District Grants available to augment club funding. 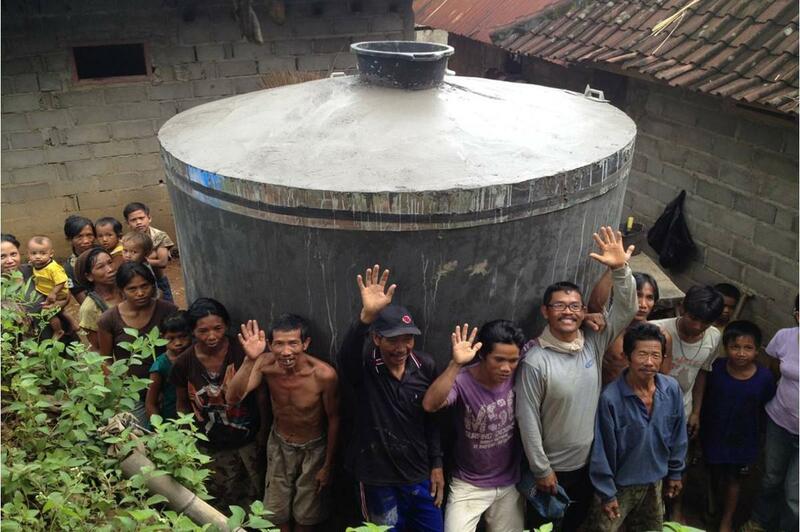 The Bali club have provided the remaining nine tanks. 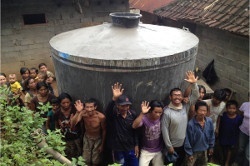 The picture shows Judie with some villagers and a completed tank. 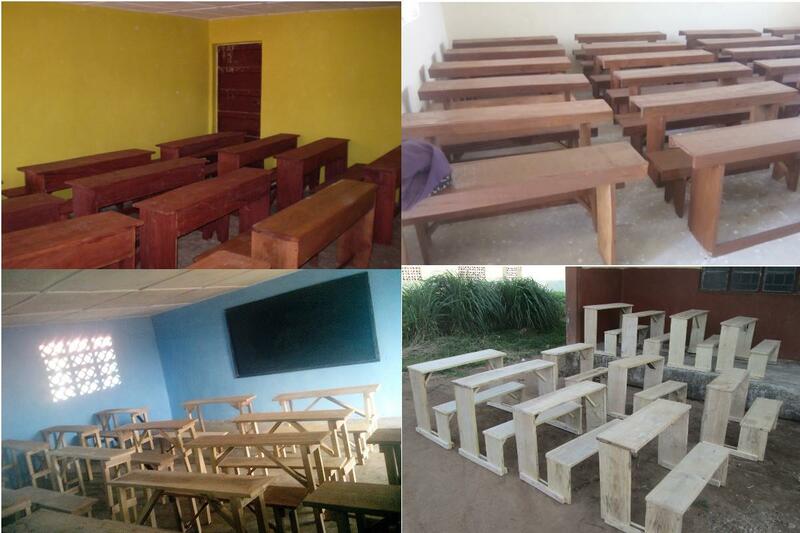 Since 2009 Banbury Rotary Club has received several District Grants to support their work helping develop 4 schools in Freetown, Sierra Leone. The Club has provided funding for several building projects but has used the District Grant system to provide additional funding for supplying equipment to complete the initial work. to provide pew style benches for a multi purpose hall at one school. 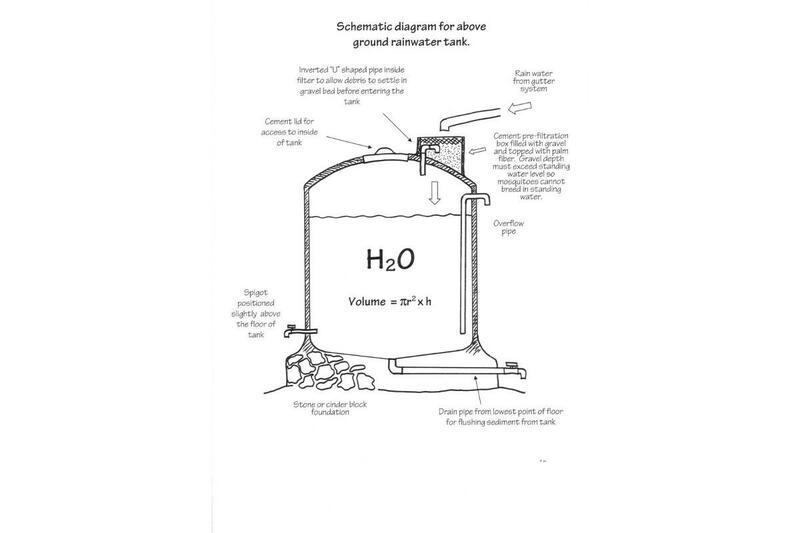 We are currently awaiting funds to undertake further water harvesting at 2 of the schools, one project is in partnership with the Rotary Club of Woodstock & Kidlington. Visit AlansAfrica website to read more about the projects.